Just when you think you’ve done everything right, suddenly there’s a brown patch of grass taunting you. Brown lawn patches are the most frustrating problems a homeowner can have with a lawn. There are a number of causes of brown spots in lawns, from insects to disease to human error. To get to the bottom of the situation, you’ll have to do a little old-fashioned investigating. Here’s a list of common causes and how to identify them. Is there a fungus among us? 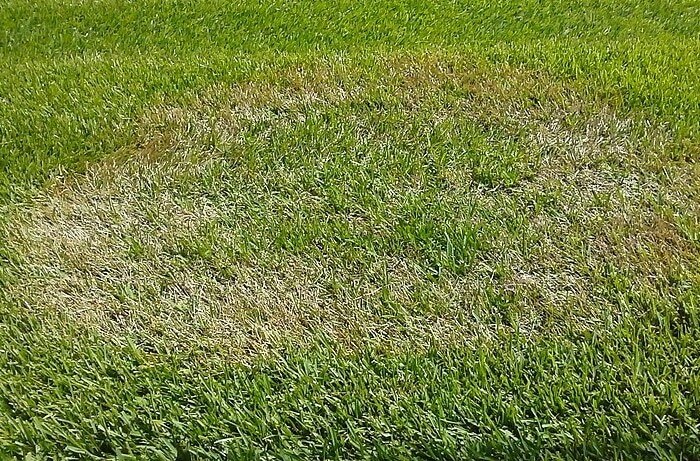 Brown spots due to fungal problems usually show up as irregular patches. 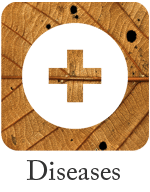 If the disease has been working for a while, the inside of the patch may recover, leaving a ring of dead grass around it. Extremely rainy or humid weather can encourage fungal outbreaks, as can lack of sunlight and poor air circulation. How sharp is your blade? Incorrect mowing causes a lot of problems with lawns across Pennsylvania. A dull mower blade typically shreds grass blades instead of cutting them, allowing the tips to dry out completely. Cutting the grass too low, or scalping it entirely, allows the grass crown and soil below to dry quickly. If your grass is suffering from a disease rather than a care issue, cutting it too short will make things significantly worse. 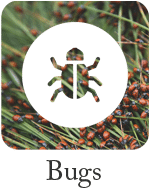 Grubs damage grass by eating the roots, leading to small brown patches that eventually widen in a relatively uniform way. Patches caused by grubs will feel sponge-like and roll up when raked because of the root damage. One of the most common causes of brown spots in the lawn is Fido’s trips outside to relieve herself. Dog urine burns, caused by the high amount of nitrogen in the urine, are recognizable by their brown centers and dark green outer rings. While your lawn should be a place for you and your family to enjoy, leaving anything on the lawn for a few days or even a single sunny day can have effects. When the birthday party bounce house deflates or the tricycle is picked up, you might be left with a dead patch underneath. Even leaving the hose out on the lawn can cause a brown spot. Thatch can build up when the lawn is not properly watered, fed, or mowed. 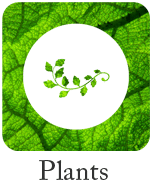 It’s an accumulation of dead and decaying plant material between the plant leaf blades and the root system that prevents water and food from getting to the roots. When thatch build-up is high, grass plants can actually start to grow roots up in the thatch layer. Because that layer won’t hold water, the plants begin to dry out, causing brown spots in the lawn. Although brown spots in the lawn can be caused by many different problems, most will resolve themselves once you’re properly caring for your lawn. 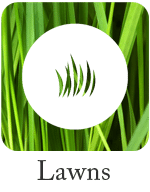 Grass is surprisingly resilient and quickly recovers when it’s treated well. 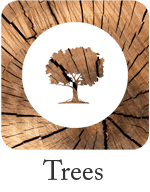 Goods Tree and Lawn Care wants to help you keep your lawn green and brown-spot free all season long. We’ve made it our business to offer quality services to promote good health for the lawn you enjoy. Find all the ways we can help here.